Operation Vipers is Northamptonshire Polices countywide crackdown on organised crime. Three people have been arrested following a series of warrants across Northampton as part of Operation Viper. 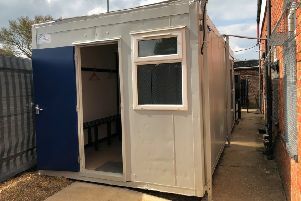 Officers from Northamptonshire Police’s Neighbourhood and Proactive teams worked in partnership with housing associations and Northamptonshire Fire and Rescue Service during Wednesday (August 22) to clampdown on lawbreakers. Warrants took place at properties in Cherry Close (off Wellingborough Road), Somerset Drive and Talan Rise (Overstone Lodge) in Northampton with drugs found at each. A machete was also seized during the first warrant. Sergeant Tom Griffin said: “During the day, two people were arrested for the possession of Class A drugs with the intent to supply and police recovered a vehicle linked to the supply of drugs and searched a further three premises. “The second phase of the day was dedicated to engaging with the community and people who may be a subject of ‘cuckooing’ from county line drug dealers. “Officers, PCSOs and Cadets were instrumental in reassuring the public and conveying the message that we are committed to tackling serious and organised crime. A machete was seized by police this week from a house they had a warrant for. A 17-year-old male was arrested on suspicion of GBH in Birmingham following intelligence recovered during the day. Officers also conducted stop searches in areas known for drug and gang related activity. Operation Vipers is Northamptonshire Police’s crackdown on serious and organised crime. Anyone with any information regarding anyone involved in criminal activities can call police on 101 or call independent charity Crimestoppers anonymously on 0800 555 111.